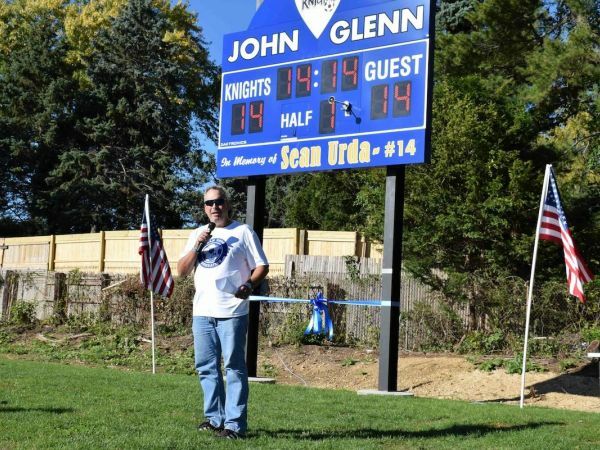 Sean passed away in Jan. 2015 in a snow tubing accident; a tragedy that deeply impacted the Elwood community. 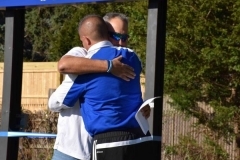 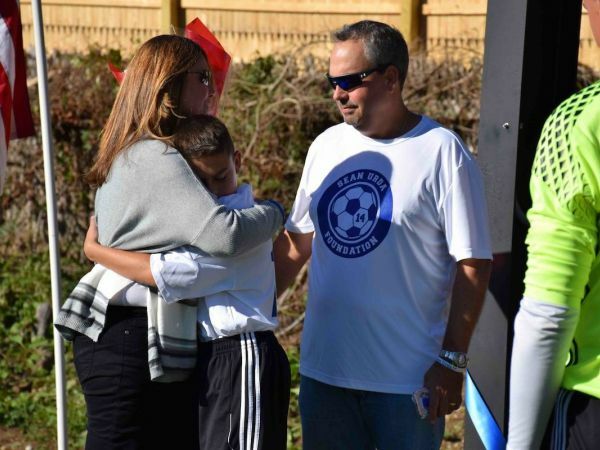 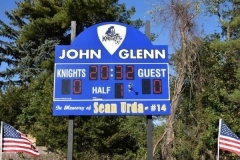 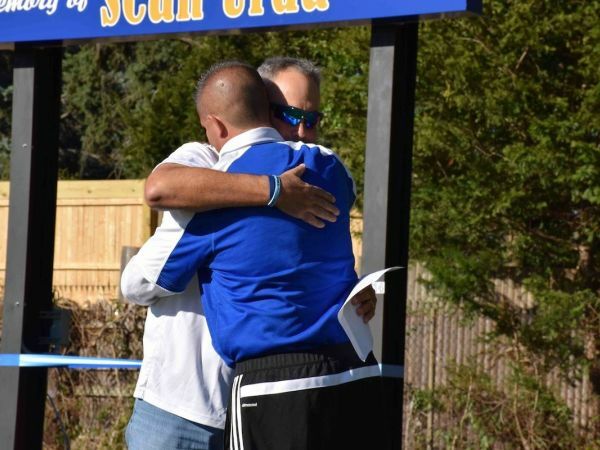 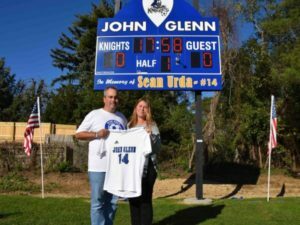 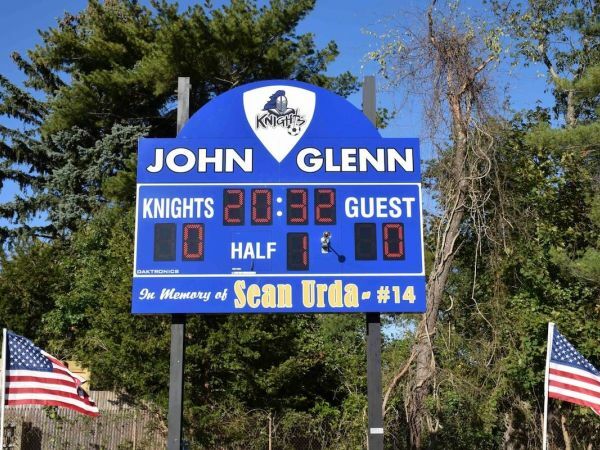 The Urda family donated a new soccer scoreboard in Sean’s name to give back to the school for their support and honor their son’s life as a passionate soccer player and Elwood Knight. 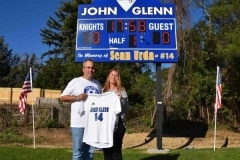 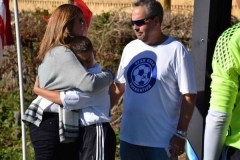 The ceremony date provided a significant meaning, as number 14 was Sean’s soccer number. 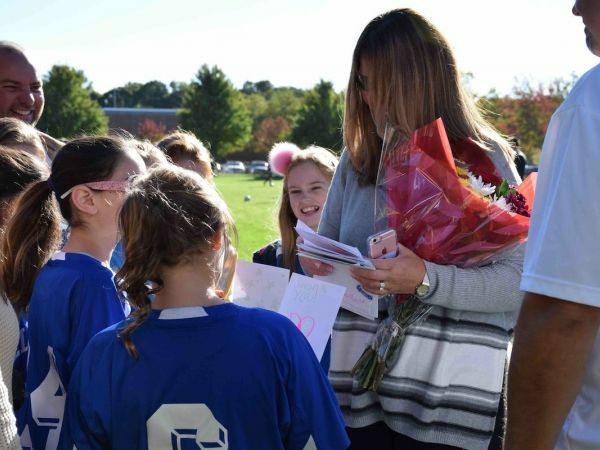 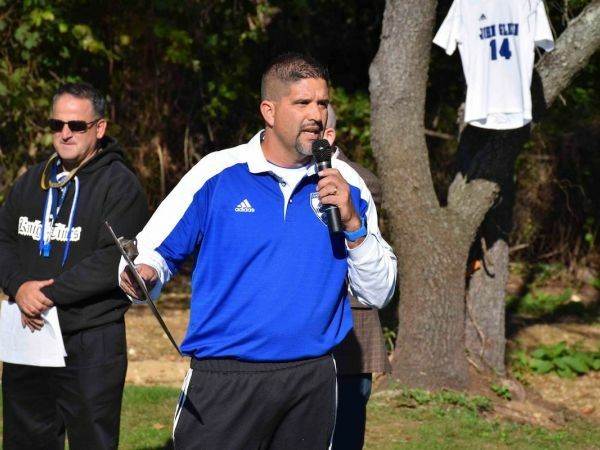 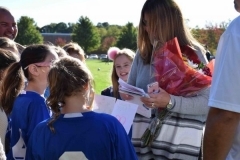 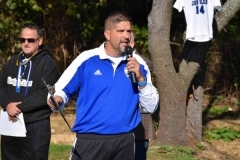 Surrounded by teammates, teachers, administrators, coaches and student athletes, Sean’s mother, Nicole Urda, and father, Gary Urda, sat in the front row while varsity soccer coach Mr. Louis Hanner and Superintendent of Schools Dr. Kenneth Bossert addressed the crowd. 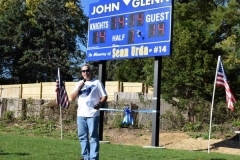 Before the ribbon cutting, Mr. Urda spoke about his son’s love for soccer and the relationships he built.